We Are Available 24/7 To Handle Emergencies! 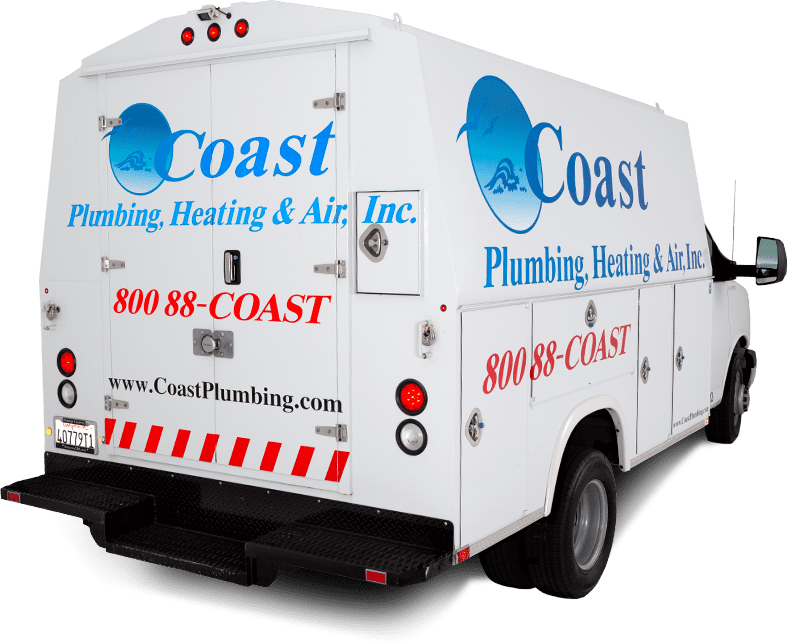 For over three decades, Coast Plumbing, Heating & Air, Inc. has delivered quality service to residents and business owners throughout the Fountain Valley area of Southern California. We have become the #1 plumbing and HVAC service company in Fountain Valley because we continue to perfect our business model each year. We hold to three simple principles that we believe comprise effective plumbing: being on time, utilizing the latest technology, and offering competitive prices with free estimates. No matter how simple or complex your plumbing issues is, we are the team you can depend on to provide quality, cost-effective services that never compromise customer satisfaction. Learn More About Coast Plumbing, Heating & Air, Inc.
We Stand By Our Work 100% With Our 12-Point Guarantee! We won’t leave until you’re satisfied with our work. Quality Home Services. Superior Results. Since 1986, Coast Plumbing, Heating & Air, Inc. has been dedicated to providing the best possible plumbing services to homes and businesses throughout Fountain Valley, Orange County, and the surrounding areas. Our punctual and efficient team provides comprehensive services that include installation, repair, and routine maintenance on systems that keep your home or commercial property functional and comfortable. We are available 24 hours a day to respond to any plumbing emergency you may have. We will apply the same focus on customer satisfaction and effective work that we have applied to every job since our first day of operation over three decades ago. *Mention coupon prior to service to receive discount. One coupon per household. Cannot be combined with any other special. Does not apply during emergency hours. John Your technician Josh was the most thorough, knowledgeable service man I've had to my home in a while...keep it up. Tim I just wanted to write and tell you what a wonderful experience I had with your company. I'll only use your company from now on. Sandra I just had your technician Cole out to my home and I have to say, they were neat, clean and very friendly. I would recommend Coast to everyone I know. Cindy A week ago I placed a call to see about getting a new air conditioning unit. Your technician Steve came to my house and within a few minutes I had air again!!! It's so nice to know that there are still companies left that won't just take advantage of the customer. Thank you so much Steve! Ricardo I am always skeptical when I order service on my home. Having that said, your technician Chad walked me through the problem and solution and then gave me a reasonable price. I will use coast plumbing again. Jose What a great experience! Your office was very friendly and your plumber Tim got out right away and fixed my leaking faucet. Thanks again. Todd Thank you guys for the pleasant experience. Next time I have a problem, I want John back at my house. Lacy My whole house was backing up and I didn't know what to do, Coast Plumbing came within an hour and saved me from a lot of headache. Thank you.